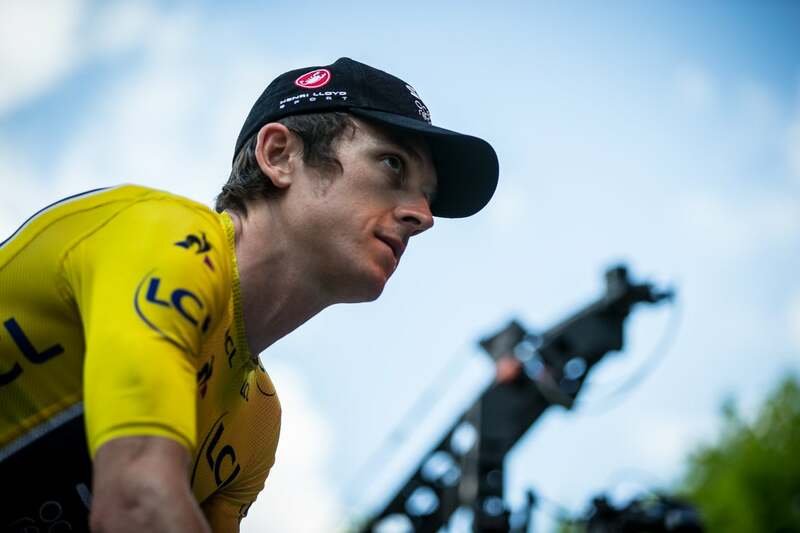 Geraint Thomas's success at the Tour de France springs from longevity and balance. BAGNÈRES-DE-LUCHON, France (VN) — He loves Welsh rugby enough to stream the Six Nations rugby tournament to his phone every spring. His success in cycling has sprung, in part, from his ability to compartmentalize the stress of big moments. 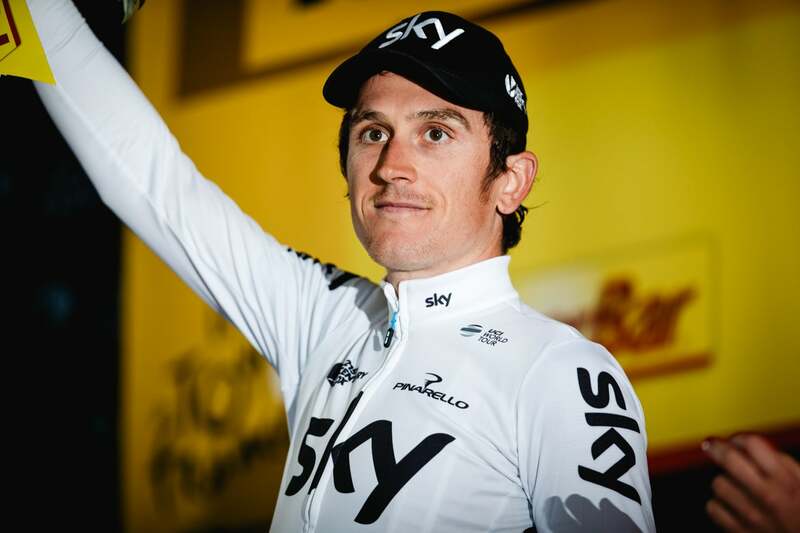 And, when the mood strikes him, Geraint Thomas delights in boozy late nights at the bar. 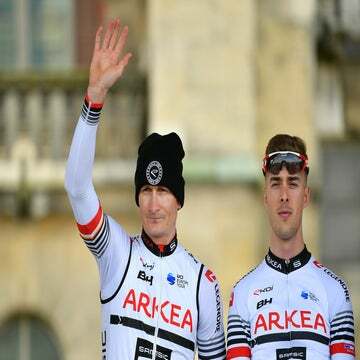 He is just four stages away from winning the Tour de France overall, an accolade that would make him the third British victor over the past six years. International cycling fans likely know Thomas, 33, for his worker-bee duties during Chris Froome’s four Tour victories. What is Thomas actually like off the bicycle? Over the past week, I have interviewed current and former teammates, coaches, and even family members to learn more about Thomas. The portrait that has emerged is one of a gifted cyclist who actively creates balance between his lives inside and outside the pro peloton. Thomas follows the monk-like lifestyle required by his profession for much of the year. He also maintains a social life away from cycling, has interests away from the sport, and, when the time is right, indulges in legendary nights of partying. “He loves to have a drink when it’s time to have a drink,” says his longtime coach, Rod Ellingworth, now the performance director at Team Sky. Thomas says the balance is by design. A life outside of cycling helps him maintain a relaxed, even-keeled attitude at the races. It gives him the perspective he needs to understand and appreciate his place within the universe. Thomas’s living arrangement reflects his split between the cycling world and the world outside the sport. For much of the year he and his wife, Sara Elen Thomas, live in Monaco, close to Chris Froome and his Sky teammates. Thomas trains long hours along the sun-kissed Mediterranean of Southern France and Northern Italy and spends much of his time with his teammates. For the rest of the year, the couple returns to the Welsh port city of Cardiff, where they both grew up, met, and were married in 2015. In Cardiff, Thomas finds an opposing setup to his home in Monaco. He spends time with family and friends, most of whom are not connected to professional cycling. When Thomas is on his bicycle, he embraces the numbers, training plans, and suffering. And when he’s off of it? Sara Thomas believes the roots of her husband’s dual lives come from his parents, who encouraged Thomas in cycling but maintained a hands-off approach to their son’s progression in the sport. Thomas took up racing at age 10, and immediately showed talent; by 14, British national team coaches had their eyes on him. By 17, he was one of the most accomplished junior racers in the country’s history. Thomas the cycling prodigy pursued the sport because he had a passion for it, not because it was his profession. Thomas joined Team GB as a teenager and trained under the tutelage of Ellingworth starting at the age of 17. By that age Thomas’s personal affinity for the sport helped him overcome some of the pitfalls that often derail young athletes, Ellingworth says. Thomas’s early career revolved around track cycling, where victory is often decided by a bobble or momentary lapse in concentration. Stress and nervousness courses through young track athletes, due to the sport’s emphasis on perfection. Thomas, however, was somehow able to cut through the pre-race stress. That cool attitude followed Thomas into the elite ranks. Rob Hayles, now a Eurosport commentator, was a member of Great Britain’s elite track team during the 1990s and early 2000s. In 2006 Thomas joined the squad’s elite squad for the team pursuit at the world championships in Bordeaux. He was just 20, the youngest member of the squad. Novice elites often look to the older riders for guidance. Not Thomas. When the team did its morning warmups at the hotel, Thomas completed his ride on his own schedule. Hayles saw Thomas’s wild side during his early days on the national track team. After a February team training camp one year, the group went out for beers to socialize. Then still a youngster on the team, the quiet, serious Thomas blossomed into the life of the party. Thomas says he learned early in his career the limits of his party lifestyle. In 2005 he and some friends with the British Cycling Academy went out to the bars to watch the Champions League final to celebrate his 19th birthday. The group drank a few too many beers and missed their curfew. Ellingworth, who was in charge of the junior team, had to dish out a punishment. Domestiques occasionally assume team leadership. Chris Froome took Sky’s reins from Bradley Wiggins after the 2012 Tour de France. Vincenzo Nibali rode in the service of Ivan Basso before taking the team lead. Even Nairo Quintana was originally a worker bee at the 2013 Tour de France for Alejandro Valverde. Those within his orbit credit Thomas’s progression to his patience and longevity in the sport. He showed amazing talent at age 10, was a world champion at 17, and now, at 33, is simply capitalizing off of his talent, training, and longevity in the sport. 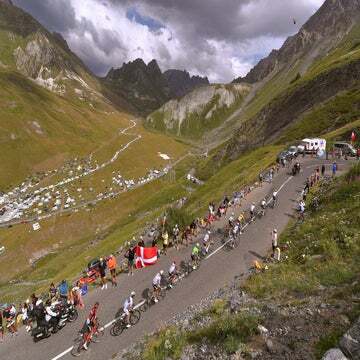 Thomas took the yellow jersey at this year’s Tour de France by staying out of trouble in the first week, as various other leaders — Froome included — suffered through crashes, mechanicals, and other bad luck. Thomas’s recent results at one-week stage races also speak to his progression as a stage racer. He never cracked the top-10 at the Tour de France while riding in service of Froome. But when given the chance to lead, Thomas often won. Ellingworth said Thomas’s grand tour success is the result of his refocusing on his goals after the 2012 Olympics. From his junior years up until 2012, Thomas was solely focused on Olympic medals. After he won Olympic titles in the team pursuit in 2008 and 2012 Thomas refocused on the classics and grand tours. Throughout this Tour de France Thomas has credited his race lead to a variety of factors. He has avoided pitfalls. He came into the Tour having skipped the Giro and instead built up with a more traditional June racing schedule. And perhaps, Thomas is simply ready to win. And should Thomas lose? Sara Thomas says it won’t be a big deal. “Whatever happens, Geraint can deal with it,” she said.